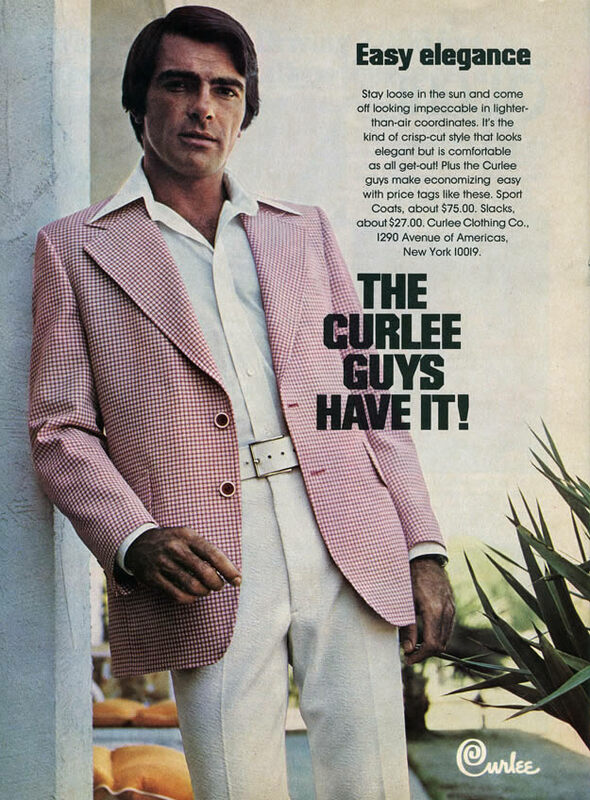 1974 magazine ad for Curlee Clothing Co. I wonder how they came up with a name like Curlee? Was this the inspiration for the transformation scene in “An American Werewolf in London”? Curlee — Suits for the hirsute! Stay loose in the sun and come off looking impeccable in lighter-than-air coordinates. It’s the kind of crisp-cut style that looks elegant but is comfortable as all get-out! Plus the Curlee guys make economizing easy with price tags like these. Sport Coats, about $75.00. Slack, about $27.00. Curlee Clothing Co., 1290 Avenue of Americas, New York 10019. The Curlee guys have it! 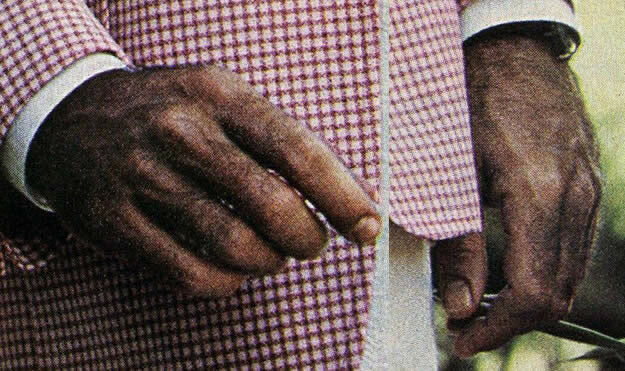 This entry was posted in ads of yore and tagged 1970s, 70s, ads, advertisements, advertising, clothing, clothing ads, magazine ads, men's clothing, print ads, seventies, vintage, vintage ads on January 20, 2017 by Clayton Hove.